We’ve put together a special menu that we have tailored specifically to our football fans. Don’t worry, we didn’t forget about drinks, we’ve got a specials on many of our favorite drinks as well! 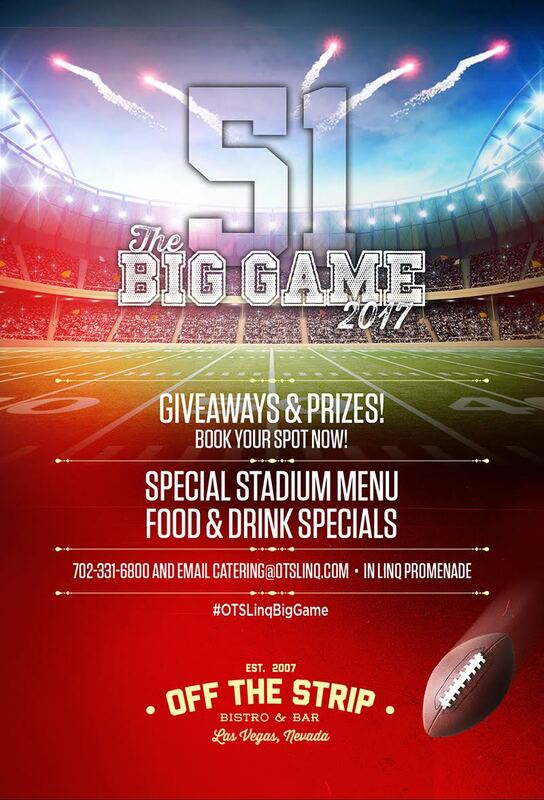 We’re more excited than we should be about this special event, but we’re really hoping that our extended OTS family & fans will join us to celebrate Superbowl 51. Join, win & enjoy! The best part? No cleaning up after your friends once the game is over!